Safe and green, trains add a real sense of journey to traveling. Sure, they’re slow (at least in Thailand), but slow life is all the rage, right? 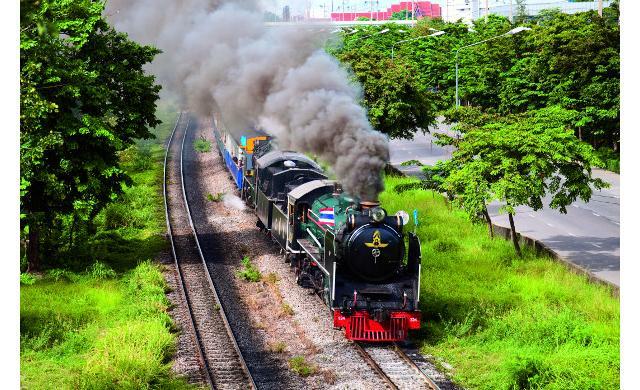 Celebrating 117 years, The State Railway of Thailand (SRT) is now offering many attractive tours at very affordable prices. Here are our picks for the upcoming weekends. Thailand’s railways are back in the headlines again with the recent Hollywood release of The Railway Man (in Bangkok cinemas April 24), a film based on the bestselling autobiography by Eric Lomax, a British POW who was put to work on the infamous death railway in Kanchanaburi during WWII. Now’s the time to hop those railway lines that the State Railway of Thailand has kept in their original condition so many years. To celebrate 117 years of operation, the SRT is offering a series of special day trips by steam train. 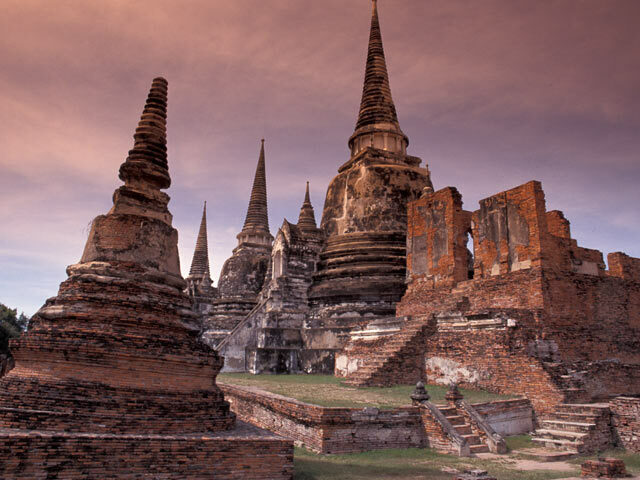 The next trip is due on Sunday, March 23, setting off from Bangkok’s Hua Lamphong station at 8am and arriving at the Ayutthaya station at 10.30am. From there, an air-con bus will take you to the historic temple of Wat Maheyong on the outskirts of Ayutthaya Island. In the afternoon, you’ll be taken to Hantra Memorial Royalty Park, where you can learn more about the province and its 16 districts, as well as get the chance to do some s hopping at the park’s floating market, which opened last year. You can then get the train back arriving at Bangkok at about 9:30pm. Tickets are B555 per person, which includes return train tickets, transport by air con bus in Ayutthaya, tour guide, snacks and water. If you miss this trip, you have to wait for the following one on August 12 to Nakhon Pathom. Whether it’s for some fresh sea air or seafood, Hua Hin is our long-term fave weekend escape and the picturesque train station alone is worth a visit. Its historic 1920s architecture and special Royal Waiting Room conjure up images of the golden days of train travel. The train departs Bangkok at 6:30am from Hua Lamphong and stops off at Nakhon Pathom at about 7:40am for passengers to pay respect to Phra Pathom Chedi, Thailand’s largest pagoda, and shop at a local market. 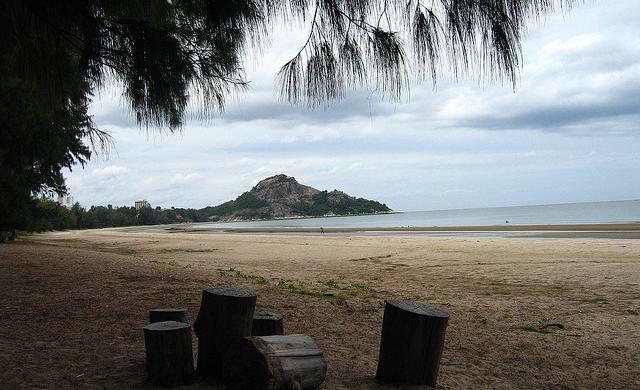 The journey continues after 40 minutes and is scheduled to arrive at Hua Hin at 10:30am or you can opt to stay onboard and head down to the quieter beach at Suan Son Pradiphat, the Royal Army’s area with a hotel, a golf course, seafood restaurants and massage places in short walking distance to the secluded beach. 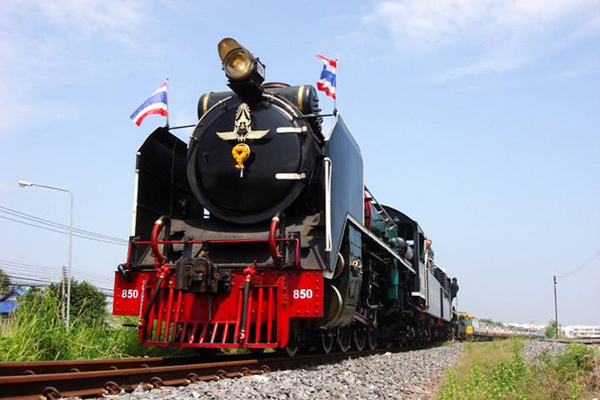 At 3:30pm, the train will set off Suan Son Pradiphat and will pick up some passengers at the Hua Hin station at 3:39pm. It’s scheduled to get back to Bangkok at about 9:25pm. The trip runs every Sat, Sun and public holidays. B240 for air-con train and B120 for non air-con, excluding meals. 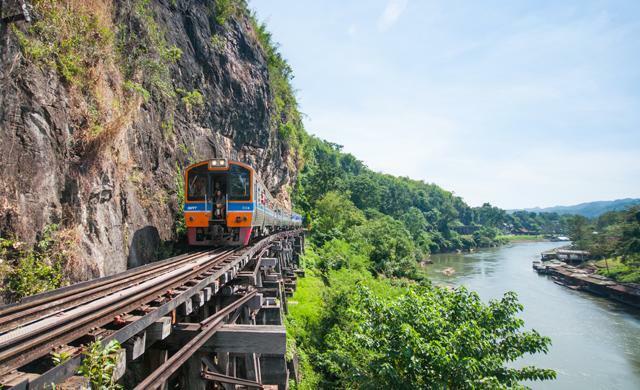 This trip takes off at 6:30am from Hua Lamphong, stops at Nakhon Pathom for 40 minutes and arrives at Kanchanaburi’s River Kwai Bridge at 9:35am. After about 20 minutes at the bridge, you will get in an air-con bus to two wonderful watery destinations: one manmade, one natural. At Srinakarin Dam there will be a tour guide explaining the history of this engineering marvel and taking you on a picturesque tour of the dam. 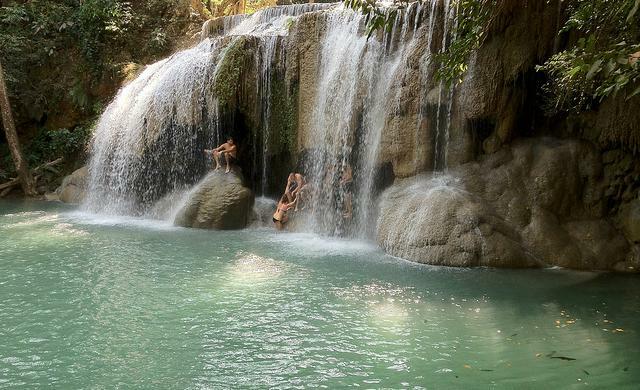 The natural part is a visit to Erawan Waterfall, the largest waterfall in Thailand’s west and it’s striking with seven levels of water falling over 2,000 meters. You can swim in the clear water here so bring swimming gear with you. The train is scheduled to arrive at Bangkok at about 9:25pm. Prices are B620 for non air-con train and B740 for air-con train. Note that foreigners have to pay additional B400 per person to enter Erawan National Park. Available every Saturday, Sunday and public holidays, the day trip to the Amphawa market starts at the Wongwian Yai station, where the train takes off at 7:40am and arrives at Mahachai at 8:39am where you can walk around the market which is famous for dried seafood. Then you will get on a boat crossing to Ban Laem train station to get on another train to Maeklong, home to the renowned Talad Rom Hub (Mae Klong railway market), a unique attraction where you can see the train running through the operating market and sellers have to move their stalls away from the track when it’s approaching. Then you’ll get to see the canal-side way of living at the old Bang Noi and Amphawa floating markets, where you can also have some traditional Thai food and enjoy shopping. At 6:30pm you’ll be transported back to Bangkok by an air-con van which is scheduled to arrive at 8pm. Price is B499, including transport by an air-con van. 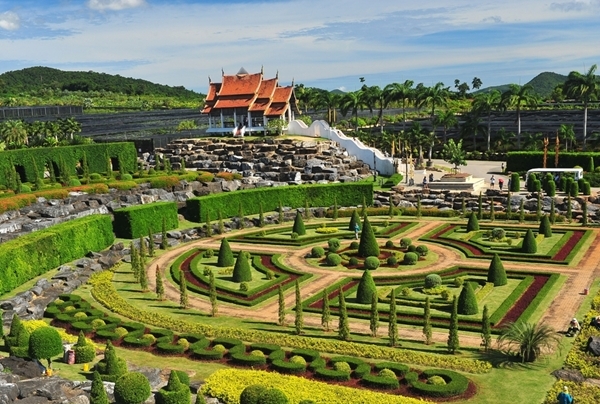 Just a little further from Pattaya, there is a botanical garden for you to relax. For this trip, the train departs Bangkok’s Hua Lamphong station at 6:40am, stops to pick up passengers from Makkasan, Klongton, Hua Mark, Hua Takae and Chachoengsao stations and is scheduled to arrive at Pattaya at 10am. You’ll be transported to the Nongnuch Garden, filled with numerous floral species and human-made waterfall. Buffet lunch at the park’s Fuang Fa restaurant is included. 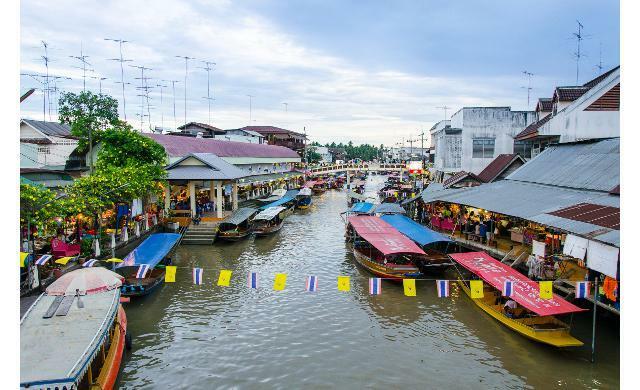 In the afternoon, the trip will take you to Pattaya Floating Market where you can shop for local products and have food cooked by sellers on the boats at the market. At 4pm, the train will leave Pattaya and arrive at Hua Lamphong at 7:20pm. Price is B540 per person for air-con train. Available every Sat, Sun and public holidays. For details, visit www.railway.co.th or call 02-621-8701 or 1690.